This is Cathy from the Emily Bronte collection, a gorgeous pale grey with a very subtle shimmer that flashes blue at certain angles/lights. Super impressed with the formula and it was opaque in two coats with no streaks which is always fab for a pale polish! Of course I also added a topcoat. The last photo shows the blue shimmer, mostly in the bottle but kind of on the nail I think too. I was really struggling with what other polish/polishes to choose until I discovered the Harmonies sets. Of course as soon as I saw Harmony in Mauve (aka purpleeee), I knew that's what I was getting. 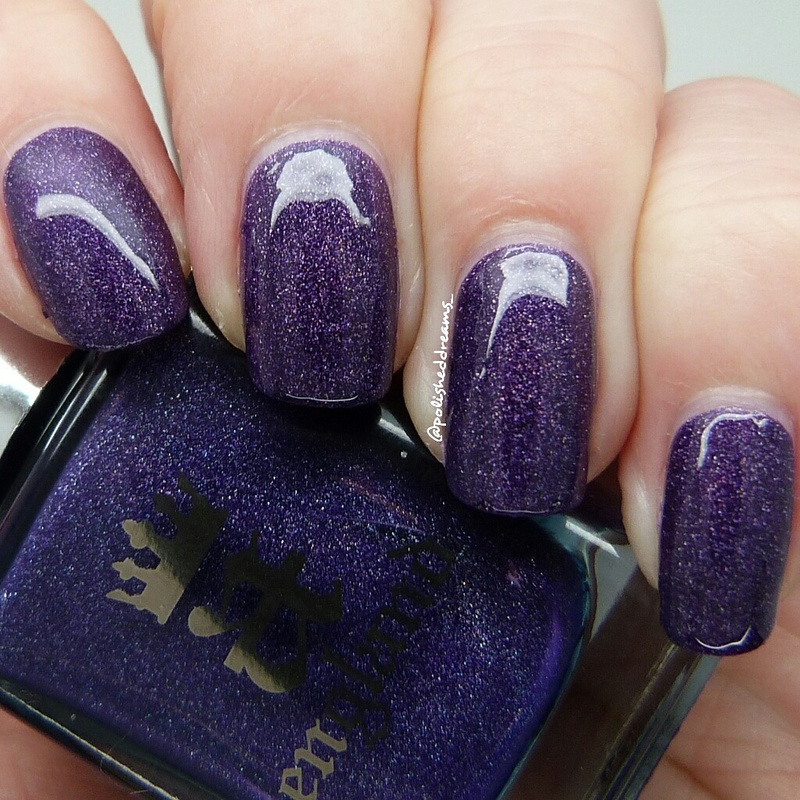 Lady of the Lake is a dark purple holo and surprise surprise, it's beautiful. This swatch was two coats and a topcoat. Crown of Thistles is my absolute favourite of the four. It's just seriously stunning and I'm sure I fell completely in love within the first few brush strokes on my nail! Again this was two coats plus topcoat. 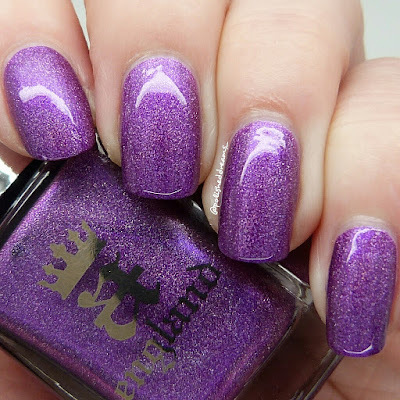 The last polish in the Harmony in Mauve set is The Blessed Damozel. 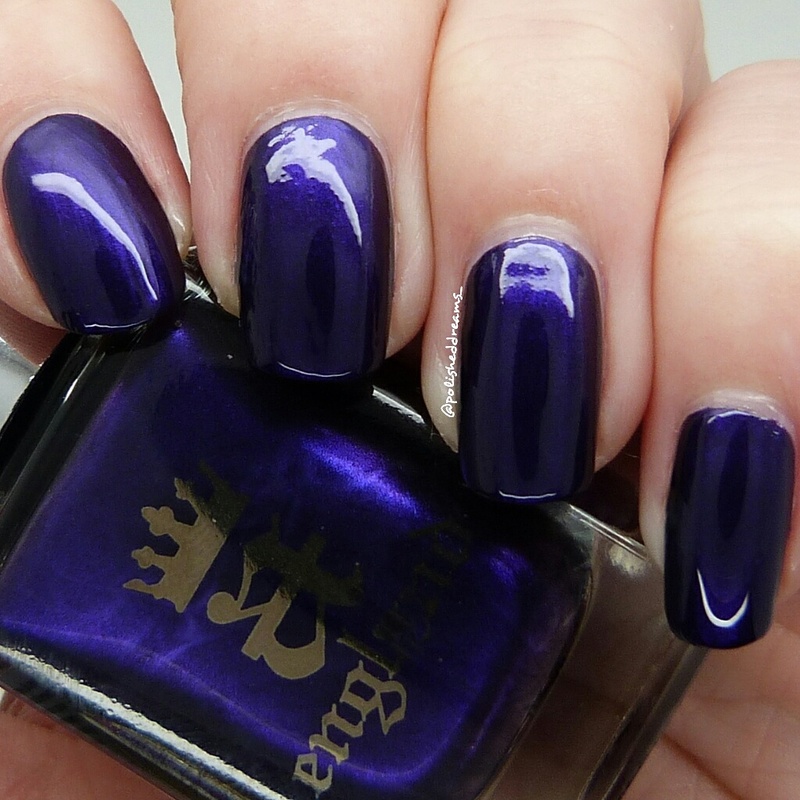 This is a veryy deep purple and so so pretty. Such a hard one to capture on camera though! Two coats plus topcoat. I'm actually kind of upset that it took me so long to try this brand because I am so impressed. I could've bought loads more by now! You can buy these from their website here however, they've just had a little rejig of their Harmonies sets so you can't get exactly the same as I've got in a set. Definitely take a look at those first though as you can get a set of three polishes for £17 when one on its own would normally cost you £9. Just in case you're not sure, yes that does mean you can get three for just less than the same price as two if you had bought them on their own! Just another reason to love these polishes eh? Anyway as I've said I really love them and can't recommend them enough! 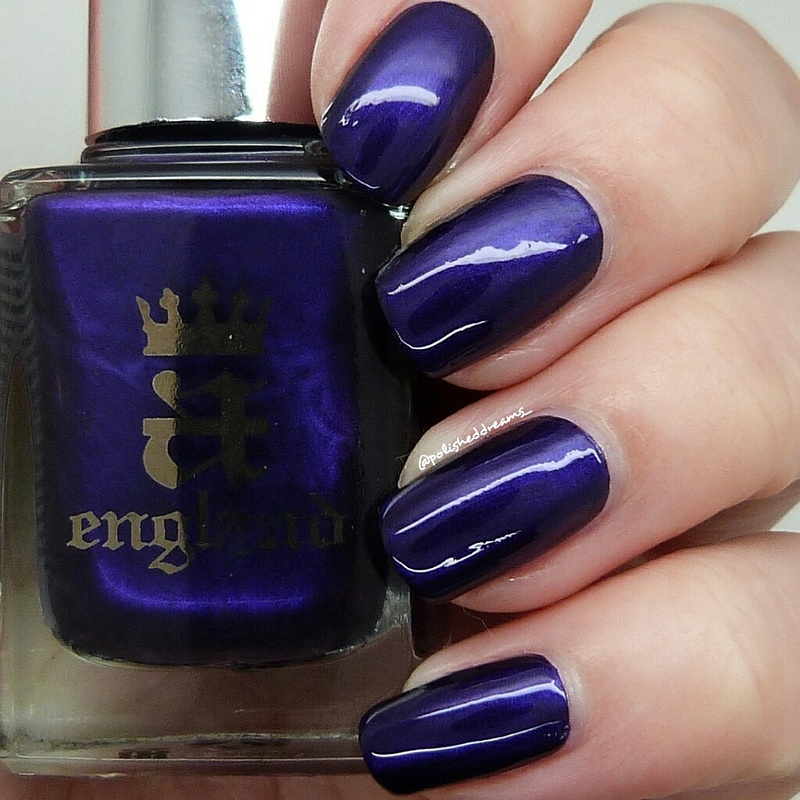 Do you have any A England polishes? What would you recommend I get next? Really great swatches, you have lovely nails. I badly want all four of these! Thank you very much. Don't blame you there!